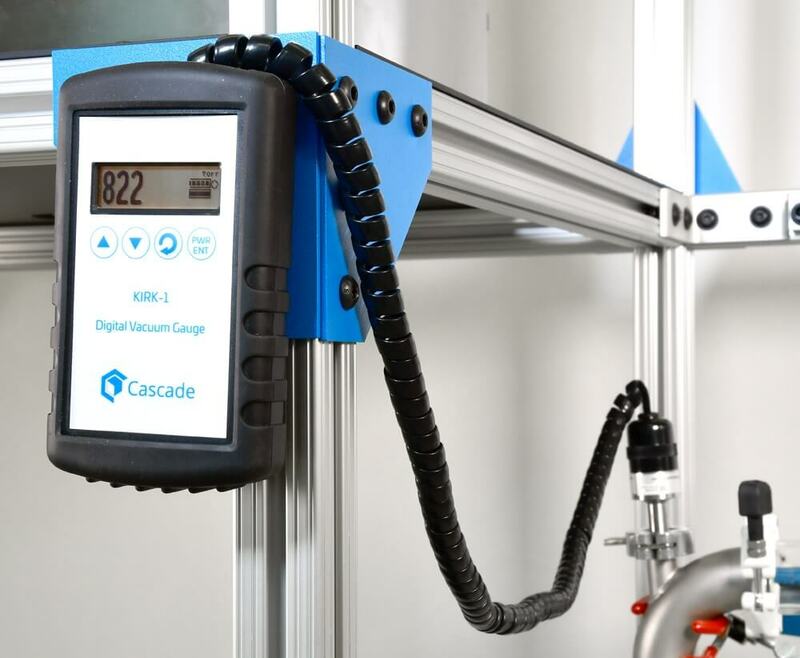 Cascade’s very own hand held, magnetized digital vacuum gauge. Reads vacuum in 11 different vacuum units: torr, inches mercury, micron, etc…Ideal for connection to short path & wiped film distillation systems. Compared to the BULLSEYE or other vacuum gauges on the market, The KIRK-1 features the highest quality SEN-536 thermocouple vacuum gauge by world-class vacuum OEM Agilent. The KIRK-1 vacuum gauge has an interior baffle that protects the thermocouple wires from condensable gases and greatly extends sensor life. Lesser sensors without the interior baffle can be contaminated easier than the KIRK-1 gauge.